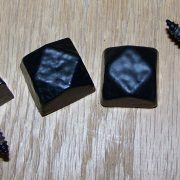 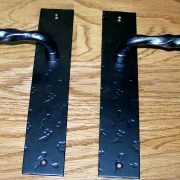 Powder Coated Black – Hammered Finish. 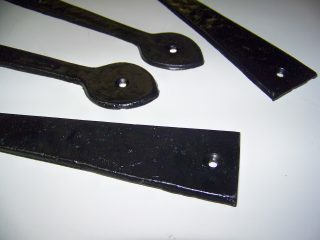 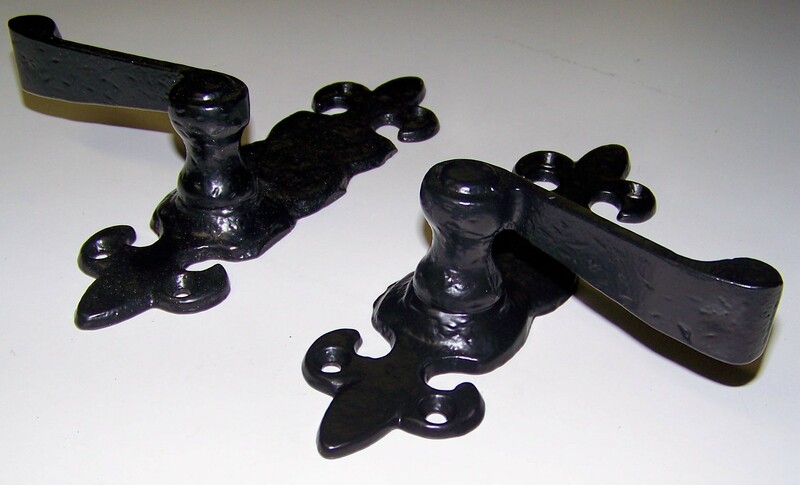 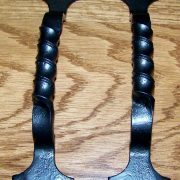 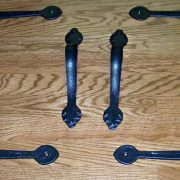 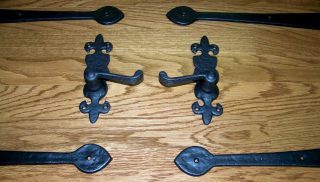 2 – 7-1/2″ Fleur-De-Lis Handles. 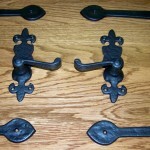 Handles stand off door 2-1/2″. 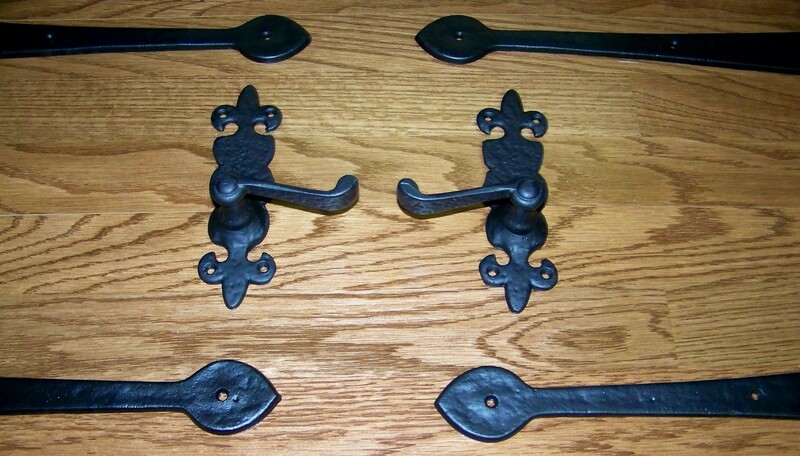 Be the first to review “Carriage House Door Decorative Hardware” Click here to cancel reply.